Large third floor room with a working fireplace (in season) and a king size bed. A Club chair and loveseat make for ample seating and a mahogany desk for those who want to get work done. 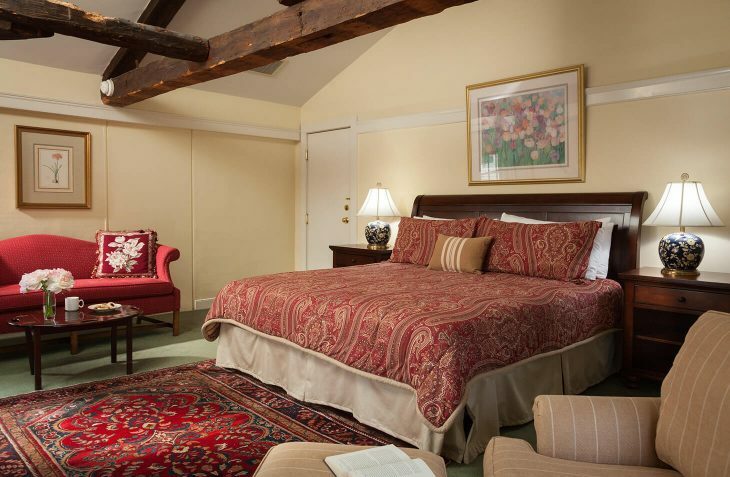 This room has cathedral ceilings with beautiful exposed beams, original from the 1820’s. The private bathroom also has cathedral ceilings with a walk-in shower and track lighting. 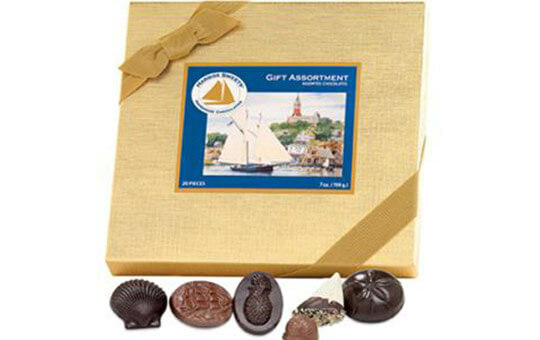 If you are looking for where to stay by Salem, MA, room 35 at our romantic hotel in Marblehead, MA is the perfect solution. 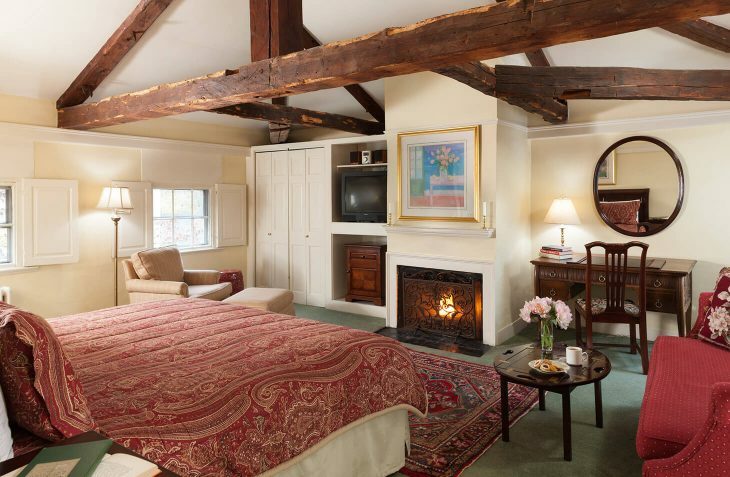 Room 35 is only one of two fireplace rooms with a king bed.